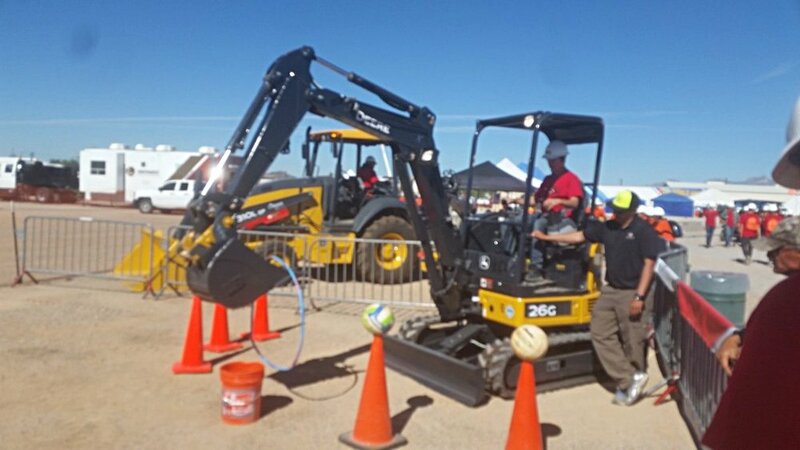 The Town of Marana was well represented at the Southern Arizona Construction Career Days earlier this week. Marana Water staff, engineers and Traffic Technicians from Public Works were on site on Wednesday, November 7 and Thursday, November 8 at the Pima County Rodeo Grounds. 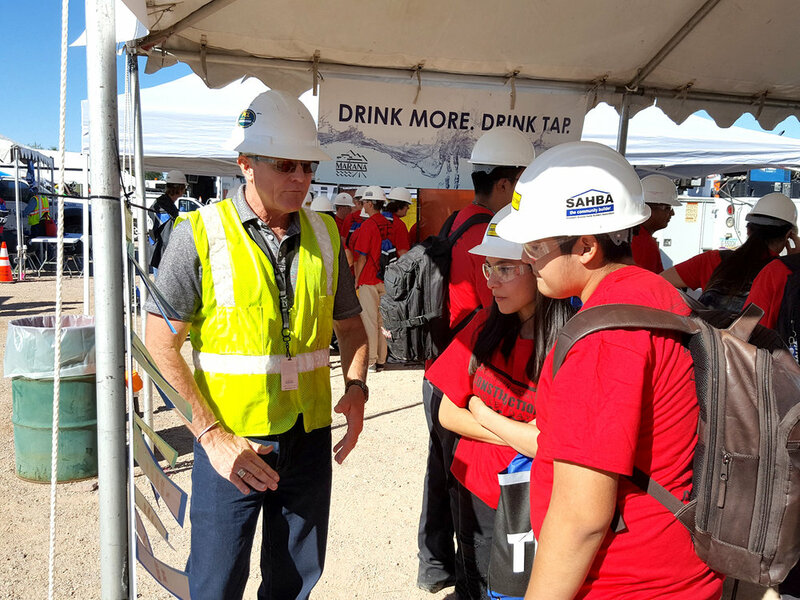 Southern Arizona Construction Career Days is an annual event to introduce students to careers in and related to the construction industry. Area high school and middle school students attended. The event began six years ago, and has grown. This year 1,880 students from at least 65 schools attended The students came from as far away as f Rio Ricco, Bisbee, Safford and Globe, as well as the Tucson area. 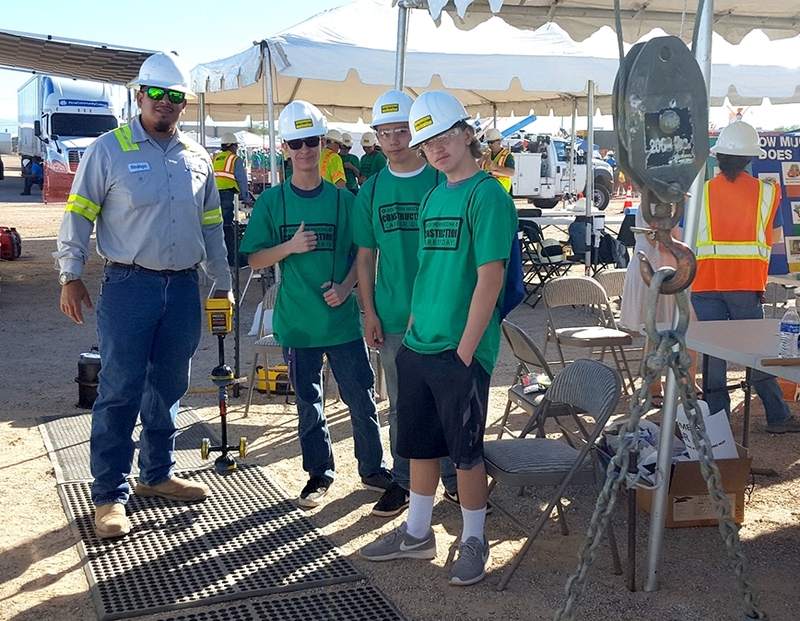 Vendors, including the team from Marana, were able to share their stories about their experiences in the construction industry, as well as introduce students to new careers in construction that they previously were not exposed to. According to Public Works Deputy Director Fausto Burruel, there are a number of careers in the construction industry that are struggling to find qualified applicants and exposure to these careers are a great way to spark enthusiasm in young people who will be joining the workforce in a few years. Vendors not only spoke to students and answered their questions, but many had hands on activities that brought the information they were presenting to life.